At last – a picture book that’s not just for little kids! This wintry masterpiece is all about the pictures. (And the giggles. And a bear.) Rabbit loves winning! Bear loves Rabbit. But so does a hungry wolf, in a different sort of way. Now it’s snowing, and Bear wants to make a snowman. So does Rabbit – as long as his is better than Bear’s! 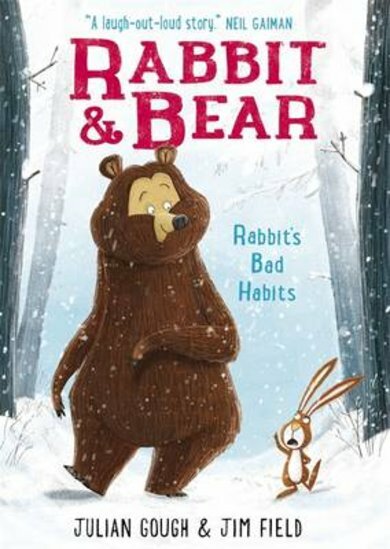 But when an avalanche hits and the wolf attacks, Rabbit realises it’s great to have a buddy on your side… A tale of poo, snowstorms, wolves and true friends, with wonderful artwork by a Roald Dahl Funny Prize winner.